All it took was one curious enthusiast to pull the curtain back on what could potentially be a new bombshell product that AMD is sitting on. The 16 core Ryzen Threadripper 1950X is already the world’s most powerful desktop CPU in existence today, but its reign on the throne of processordom won’t remain uncontested for long. Intel, AMD’s giant rival, is working on an 18 core CPU that’s set to come out later this year in hopes of moving the CPU wars tide back in its favor. But, as it turns out, this will not be by any means an easy endeavor. All it took was one enthusiast and one thousand dollars. That’s right, all thanks go to world-renowned overclocker der8auer for taking the time and the effort – and spending a thousand bucks – to perform a Threadripper delidding. In case you’re not familiar with the term, delidding refers to the process by which the metal lid covering a consumer desktop processor is removed to reveal the innards of the chip. 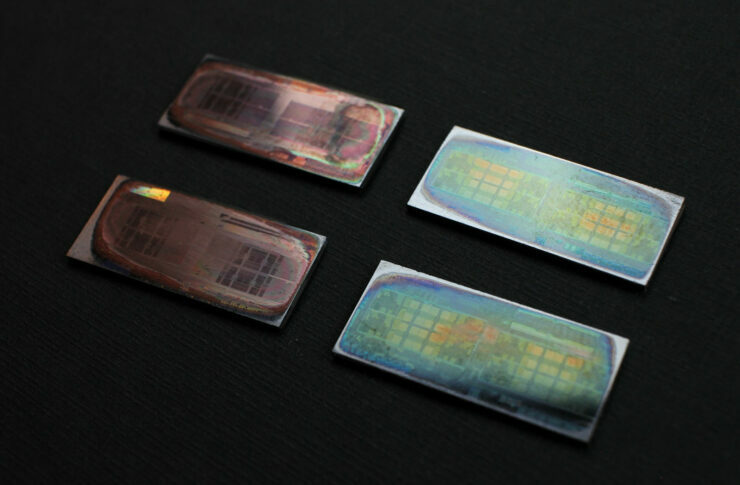 Usually, this is done by extreme overclockers to expose the silicon die — in Threadripper’s case it’s multiple dies — to apply direct cooling onto the circuitry. 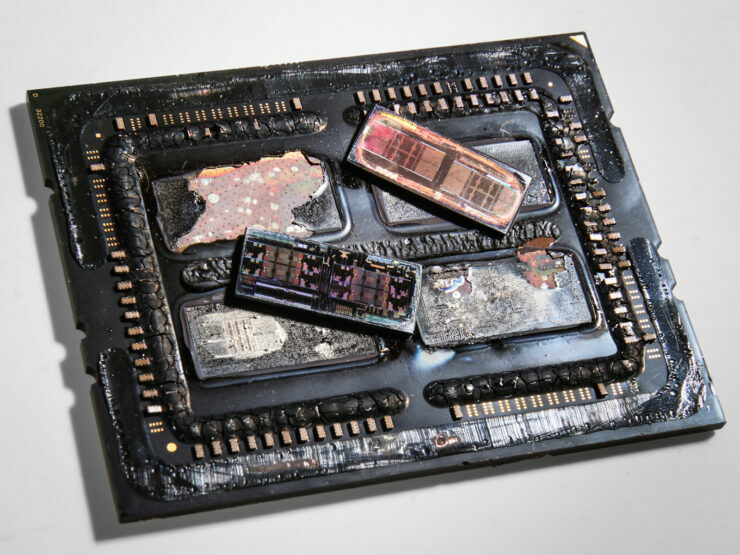 In this particular case der8auer did more than just a standard delidding, for all intents and purposes he performed a professional hardware autopsy. 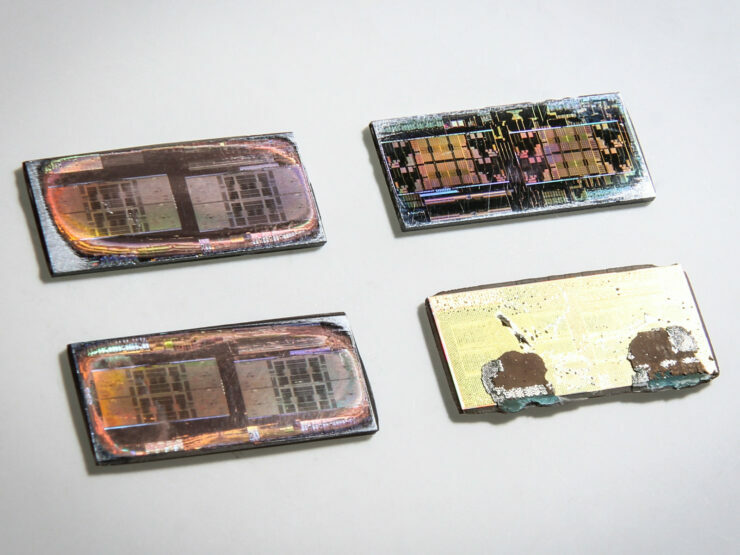 After removing the metal lid, he proceeded to unseat each of the Threadripper dies, sandpapering the copper layer down and fully exposing the silicon. What der8auer confirmed was that AMD is in fact using four functional Ryzen dies to create a single Threadripper chip. In case you’re thinking, well, that sounds familiar, that’s because it is. AMD’s EPYC server processors are made the exact same way, with four Ryzen dies. This means that AMD, well… has the means – forgive the wordplay – to actually produce and launch a desktop processor with up to 32 cores. der8auer goes one step further to postulate that this is the very reason AMD is using four dies, because it may in fact have plans to produce a 32 core desktop processor. And again, if that prospect sounds familiar that’s because it is. 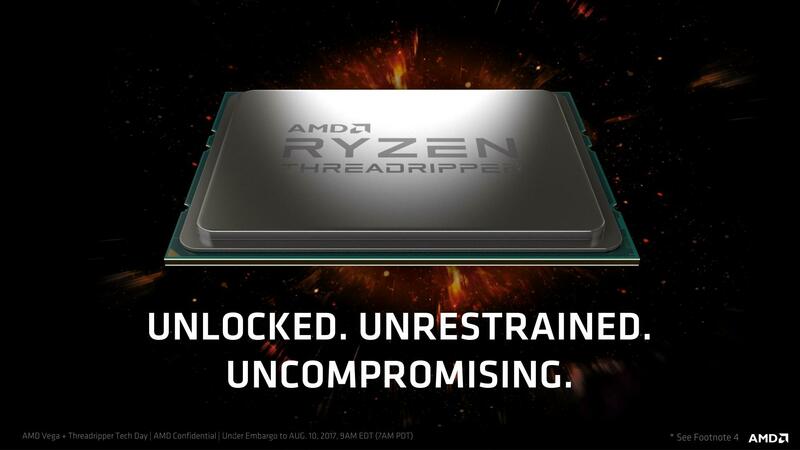 I concluded months back, before Threadripper launched, based on the hardware specs of the TR4 socket that AMD does in fact have the option and capability of creating such a product. It’s only a question of will at this point. Would you like to see AMD launch a 32 core desktop Ryzen Threadripper processor? Yes, I may even buy one.